Bold, moody, and undeniably chic – these are all words that are sure to come to mind when you browse Bliss & Bone’s gorgeous collection of wedding stationery. Their ultra modern, artistic wedding and event invitations and save the dates feature everything from eye-catching, abstract backgrounds to luscious florals and botanicals. 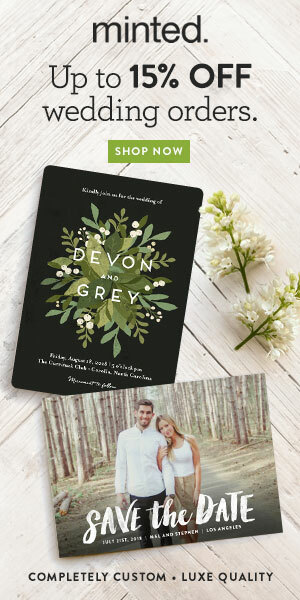 Customize your own invitations by choosing from their collection of pre-designed suites, or mix and match from their exclusive gallery of prints to create unique invitations and save the dates from scratch. They also offer completely custom design services with dazzling options like rose gold foil stamping and etched, frosted acrylic details. 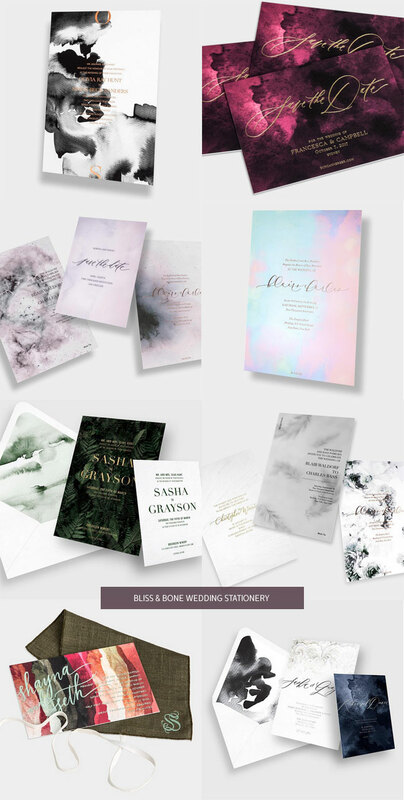 Check out some of the beautiful invitations and save the dates available from Bliss & Bone below, and head over to their website to see much, much more.